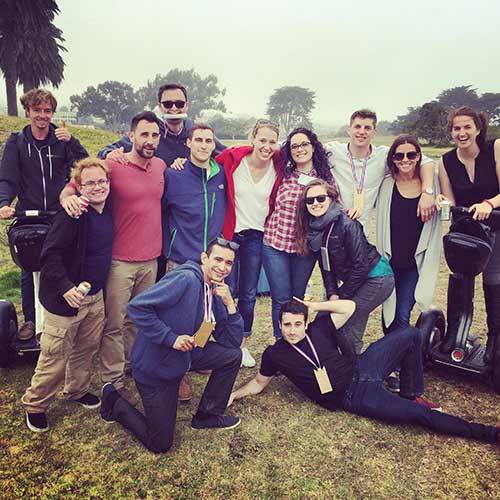 The SmartRecruiters Hiring Success Team makes optimization and efficiency a priority. We believe hiring great talent is critical to the success of every business. That’s why every customer has access to dedicated Client Success Experts, Training Managers, Implementation Specialists, and Priority Support services to help you achieve your recruiting goals any day, any time. No question is too big, small or technical for our world class, global support organization. With 24/7 coverage around the world, SmartRecruiters brings hiring success strategy to your fingertips whenever you’re ready to start hiring. Do you have trouble with engagement and adoption on your current hiring platform? The SmartRecruiters Client Success organization specializes in product adoption, rollout strategy and process optimization for companies of all shapes and sizes. Starting from the day you become a customer, our team of technical experts & certified project managers will help guide and enhance your SmartRecruiters experience through step-by-step configuration assistance, testing and integration assistance, and customized training for your hiring teams. SmartRecruiters is a Talent Acquisition platform to help you redefine your hiring process and recruitment marketing approach. Our personalized training programs provide you with the tools and all the guidance you need to lead your company to a new, modern way of recruiting and collaborating. Hiring Success is contagious! Become the hiring expert for your organization and take this modern approach to recruiting the best talent. Navigate the SmartRecruiters Marketplace for job distribution, behavioral assessments, background checks and more. Manage candidates through your recruiting process and learn how to extend and edit offer letters. Collaborate with the hiring team to select the best candidates. Leverage customized scorecards to ensure effective interviews and reviews. Measure your key hiring success metrics through reports and analytics. Rolling out a new recruiting platform is an excellent opportunity to redesign your recruitment process and bring efficiency through integration and simplification. Our add on workshops set customers up for success during or following their implementation and onboarding of the SmartRecruiters platform. SmartRecruiters is offering formal certifications to its Recruiting Rockstars. For clients that would like 1:1 time with our Training Team as well as our industry experts and sponsors, this is the gig for you! For new clients, this is an opportunity for you to hit the ground running! For existing clients, this is a chance for your Recruiters to get the confidence and system adoption they may be lacking. Send the whole team! We will help you to achieve the ultimate hiring success by providing you the knowledge and power to know the ins and outs of your SmartRecruiters platform. This is your chance to shine! Seven hour certification course (lunch included) (including certification test). Certified Recruiting Rockstar Reward and Recognition.